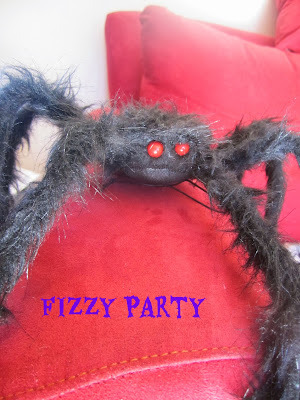 I love themed parties and to carry that theme through out the house. It all starts with the invitation. 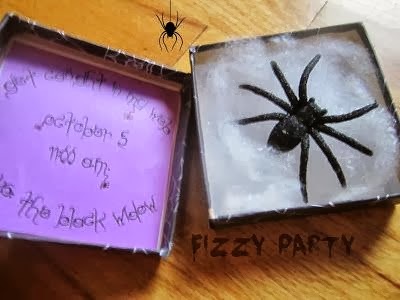 When my friends received this DIY invite in the mail they knew what kind of party to expect. They even called to ask me how they should dress. I'm lucky to have fabulous friends who help me carry the theme all the way down to the outfits. 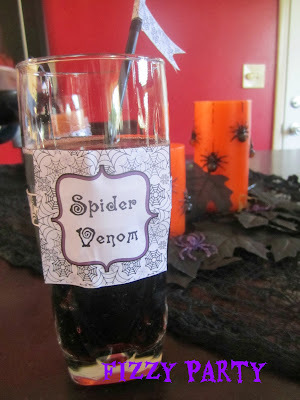 I used up some Halloween party supplies I had for the place settings. 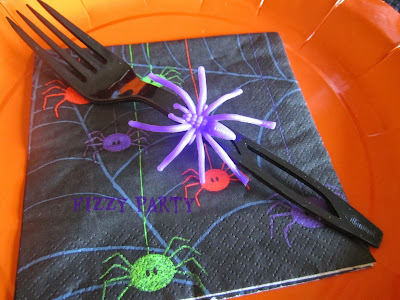 I always hit the after Halloween sales and stock up on place setting items. Why pay full price? All of us love cherry soda and this fit perfect for Spider Venom. Cupcake with Character did a great job at customizing the printables for me. 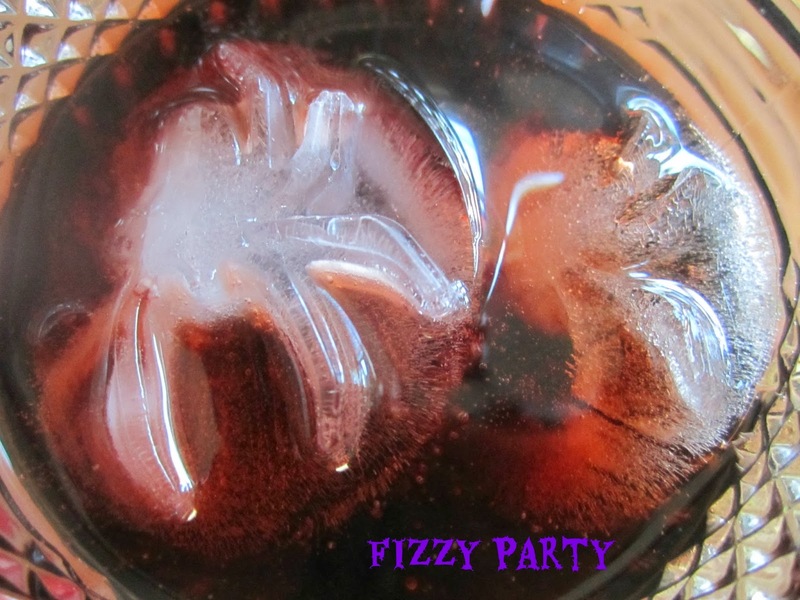 Cherry cola is a great Halloween drink. 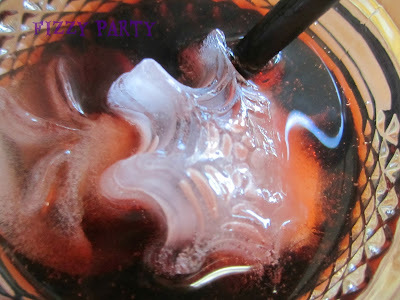 It looks blood like. I love carrying the party theme all the way to the ice cubes. I'm always checking Target and Dollar Tree for themed ice cube trays. You can get them for any holiday. Party secrete, it's such a simple inexpensive touch that your guests will appreciate and notice. For the luncheon I served taco's. Easy and everyone loves Mexican food. 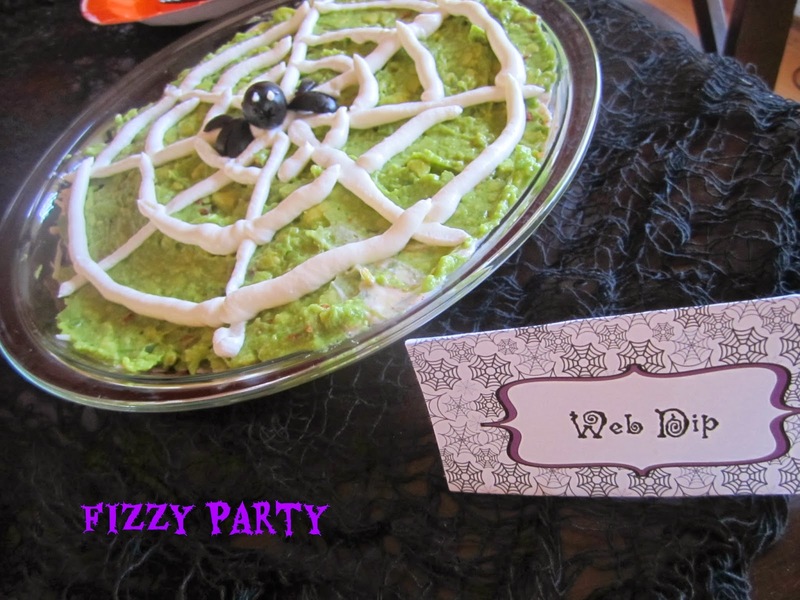 Easy mexi dip: beans, cheese, sour cream, guacamole, and to carry the theme, a sour cream web with an olive spider. Where's the desserts you ask? Come back Wednesday for the dessert table.